Came across these pictures the other day and I had to share them with you! The wonderful photography/collage mash-up is the work of photographer Natalie Neal and artist Pamela Loredo Sustaita for The Pulp Zine which is run by a collective of super talented babes and covers fashion, art, music and everything in-between. What's more, this newly blonde bombshell is Kate Nash!! I used to be the biggest Kate Nash fan ever ever ever... to the extent that in year 10 when we had to do presentations to the class on a subject of our choosing - mine was on Kate Nash. Here's my favourite old song of hers so you can have a little reminisce. 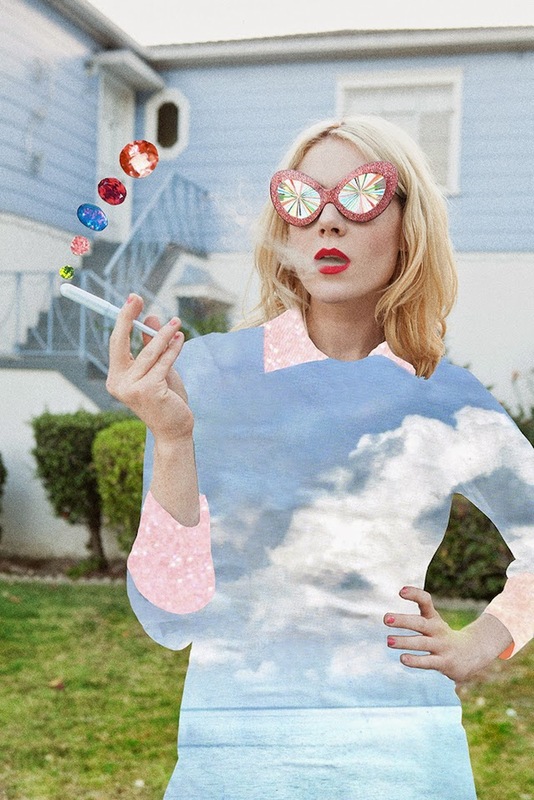 OMG I love this so much, Kate Nash is awesome and I love Natalie Neal's work - so inspiring! Thank you for introducing her to me!